"Are you watching?!" my son asks over the phone. "The Great Pumpkin is on! Hurry up, it's already started." My granddaughters and I run to the livingroom. "Hurry up, Grammy," Sydney yells as I try to find the station. "We're missing it!" Another year and Linus is still sitting in the pumpkin patch waiting for the Great Pumpkin to bring toys. Ah, sweet, ageless Linus. We love Halloween. The decorations were out two weeks ago. Pumpkins have been carved. As a family, we celebrate right along with Charlie Brown every year. "Grammy, do we watch all of the Charlie Brown shows? Which person do you like the best? Why isn't Charlie Brown a cartoon show on every week? Can we watch all of the shows?" The girls questions came one right after the other. My son loved Charlie Brown. James kept his legos in a small suitcase that his grandma gave to him. He also had a Snoopy stuffed toy. Now another generation was taken in and captured by this outcast boy and his wonderful circle of friends. Charlie Brown characters are easy to relate to, to understand. We all have a little bit of Charlie Brown in us. Maybe we understand Linus with that inner strength hidden behind a blanket. Everyone has had a Lucy in their lives. I've known a few Schroeders. How often have I called a small child Pig Pen after a day of hard playing? Yes, we all live in a Charlie Brown world. We have watched these shows for so many years that we know what is coming next. Sometimes we even repeat the lines along with the characters. After Halloween is over, we will wait for all of the characters to go with Charlie Brown to his grandmother's house for Thanksgiving. Best of all, we will check the listings early so we don't miss Linus telling the Christmas story and Charlie Brown's tree. We can relate because we understand. I'm thrilled that the girls love these stories. These stories teach them about kindness. They help them to be more understanding of those who are different. In fact, they help to see personalities in these cartoon children who might remind them of someone in real life. Charles Shultz understood. "Grammy, I can't find my cat tail." We leave Linus to wait in the pumpkin patch for another year starting our search for Sydney's cat tail. Linus (Gabby) is in bed. Mommy (Lucy) is tossing out questions as to who was wearing the tail when last seen. I'm Charlie Brown just trying to do the best I can. I love living in a Charlie Brown world. Mrs. Manning came into the classroom. She was a fixture at my elementary school. No one thought anything about it. We all grew up to find our own ways regardless of Mrs. Manning's visits. Hobos, witches, cowboys, etc., walked around each classroom while the kids sitting in their seats similarly dressed waited there turn to show off their Halloween costumes. With little hands over our hearts, we cited the pledge every morning before taking to our old wooden flip top desks and textbooks. However, when it came to dressing different, challenging the boundaries, boys growing hair a bit longer than the norm, girls wearing pants, the axe came down. It was a time of revolution, evolution, change. Or was it? One day back in the 60's when I was in high school, I decided to wear my up in a band making a sort of bun on the top of my head. As vividly as if it were yesterday, I remember looking in the mirror of the restroom (where we all gathered before classes began primping in the long mirror) in time to see the most popular girls looking at my head and sneering. A few comments were made about the mound on the top of my head. Already an insecure girl, I immediately let my hair down. An event was imprinted on my mind. Bullying is not new. It has been around since the beginning of time. Parents didn't try to stop it. The dad's expected their sons to fight it out, get the upper hand. Pay back. The girls pulled together into groups with the 'in' group setting the tone and the 'others' always hanging back. Have times changed? Where does the bullying begin? Does it stem from parents insisting that celebration be erased from schools? Does it come from religious symbols and celebrations eradicated from the public eye? Does it happen when children carry on their parents' warped beliefs? Does it come from anger, insecurity, the result of being bullied? Why do other children follow the bully? Why does gang atmosphere take over so easily? Where in the heck are the teachers who don't notice, don't observe the behavior? What is wrong with parents who don't know the difference between right and wrong? What happens when no one intercedes and erases this disease that continues to haunt our schools, our neighborhoods, our world. Some politicians bully. Some video games encourage bullying. TV is full of bullying. Most comedians make a living at making someone a target for teasing. "Grammy, I don't think that was very nice," my granddaughter says watching a cartoon where someone is teased by another character. "You're right. It's not very nice." We watch TV together talking about actions that are far from stellar. She thinks we are learning together....maybe we are. I learned to step back and observe because I had needed it as a silent child. I learned it by working with teens at risk who had been sexually abused, beaten and suicidal. I learned it by trial and error with my own children. I learned it from a sense of fairness I learned by being on the other side of the bullying. 'Teach the children and change the world'. I think maybe that should be stated as 'teach the parents and save the world'. We are the models for not only our grandchildren, but a model for their friends as well. What can we do? First of all, dialogue is essential. Listening to our children and grandchildren teaches us, expanding our knowledge of ourselves and the things they face each day. Sitting with a grandchild, next to the bathtub as they wash off the day's remnants, a grandparent might learn of day's events. "I sat next to this boy in choir today." The comment came out of nowhere from my oldest granddaughter. "He rides my bus and sat next to me on the way home." A new corner has been turned for her. Interest in boys and evidently, boys interested in her. My lighthearted youngest grandchild will often share something that has bothered her all day when we are just snuggled up on the sofa watching TV or lying in bed reading books. It begins with "Grammy, did you know....."
I have no solutions. I miss the good old days when I was a little kid parading my Halloween costume around every class room, our morning routine that started the day with a pledge, a Christmas tree that was just a Christmas tree, Mrs. Manning who came in for religion in the morning. I liked her. Can't remember a single thing she taught, but she was like a grandma who came to visit with a basket of love. We live in a world of bullies. Maybe it is our duty to 'seed the clouds', to raise a new generation to think for themselves and to find peaceful means of resolution. Maybe we need to teach embracing differences instead of raging against them. I say we eliminate the word 'bully' from Mr. Webster's dictionary. Do the wishes come true when you toss that coin into a well? How about when you wished upon all those stars as a child? Did the wishes come to you at some distant time? Did you notice or remember? My granddaughters wished on stars as we snuggled on the blanket watching the meteor showers a few weeks ago. "Grammy, do you think the wishes come true?" Gabby asked. "I don't know, Honey. I'd like to think they do," I answered. This morning after a rough night of sleep, the thought again crossed my mind. Do wishes come true? I have wished on a good many stars in my sixty-three years. I have prayed and asked God for help. I have tossed coins into pools, coins I wish I had right now. Where did those elusive dreams and wishes go? Did I miss them? "Do you think God answers prayers?" another question surfaces. 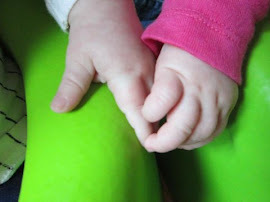 "Sometimes prayers aren't answered exactly the way you want," I told my questioning grandchild. "Sometimes God decides to answer them in a better way." I'm a positive person....most of the time. I'm good at pulling up my boot straps and heading into a storm well equipped with or at least ready to use my ingenuity. Still I wait for the illusive dream to come true. As with everyone, sometimes life is not easy. Transition. Job loss. Health changes. The passing of loved ones. My wishes on those stars has changed as I have aged from child to grandma. Simple requests for a doll or puppy have gone to financial security and family well-being. Prayers asking for little errors of a child have changed to guidance to find a door that will ease stress and give peace. Many are like me right now. Women who chose to stay home with their children depending on a husband's pension or savings to see them through a lifetime. Women who like me had failed marriages. Women like me who tried to raise children the best we could alone. Women like me who have lost jobs. Women like me who want so badly for life to be easier, for us to be able to give our children and grandchildren more, who find ourselves in dire straits. Many are like me right now. Still I wish on the star and send my prayers to a loving God. I hold my grandchildren tight and realize that nothing is better than that exact moment. I look at my children, my sisters, my grandchildren and know that God has indeed answered my prayers. A child is born. A daughter becomes a mother and a mother a grandmother. A child comes with no instructions. If they did, each would be as different as is each child. My first grandchild was an easy little girl to entertain and raise. Her sister, Gabby, was the opposite. A bundle of energy and curiosity from the moment she was old enough to discover the world around her. No two alike. No road map to follow. I thought I'd done a pretty good job raising my children. They don't seem to be too damaged from the ways of their mother. Not living close to my own mother, I did the best I could with what I had learned and in realizing what I didn't know. I thought I did a pretty good job....until I had grandchildren. Something clicks in when a grandchild is born. I don't know if it is true for all grandmas, but I discovered that I have a power of observation that was non-existent with my own children. This discovery of a new me was a bit of a shock. For the first time, I wasn't so sure I had been a good parent. I wanted to do it all over again and give my kids a better me. Darn it. Gabby has taught me to slow down. To be interactive rather than reactive. She taught me patience instead of insistence, talking on the same level instead of heads above her. I learned to listen to what I could not see as well as understanding that which was written all over her actions. I had to give up all preconceived notions about child raising in order to understand each of my grandchildren according to their personalities. In discovering these children, I am discovering myself. 1. To shape in or on a mold. a. To form into a particular shape; give shape to. b. To guide or determine the growth or development of; influence: a teacher who helps to mold the minds of his students. How often do we hear the term molding the child? I don't want to mold the child. I want to discover the child and encourage each to grow through observation. I don't want to influence. I want the children to draw their own conclusions by offering a variety of avenues to explore. I don't want to give shape to them. I want them to find their own voices and shape themselves. I do not want to know all the answers. I want to offer possibilities. This being a grandma has given birth to a new me. I am awed by what I do not know and excited at what I can learn from these two girls. For once in my life, I am learning to listen to an inner voice I did not know I possessed. A baby was born nine years ago. A bundle of energy. Energy that explores and discovers. A mind that finds creative ways of doing things. A girl who can pile up sofa cushions and discover a world out of reach. A girl who will use her curiosity, her constant smile to soar and change the world. Happy Birthday, Gabby. You are a gift to my life. "Little girls, little girls, everywhere around I can see them." Carol Burnett as Mrs. Hannigan belted the song from "Annie". I sat in the bathtub immersed in the water echoing the same. Only three girls were invited to the party.Two adults for four girls, counting Gabby, seemed reasonable. In fact there were for most of the evening six adults watching over four girls. The sound level was elevated at least 20 decibels. Being quick on ones feet was an advantage while the girls ran from room to room searching out the hidden birthday girl. With each squeal, my nerves found a new edge on which they teetered. Gabby is turning nine. I have an all new respect for grandparents who raise their grandchildren. On most days, I think I'm a pretty energetic person. The girls have had friends over for play days at my house. Busy activities and the piano seemed to entertain them for a couple of hours. I've had the girls overnight with a friend. No problem. Lots of fun. So why does the number four wear me out? The party was held at the bowling alley. Adults on one lane. Girls on the other. Side by side they bowled, laughed and most of the time screamed with delight dancing around, swinging one another full of life and energy. I sat wishing for earplugs and book by a cozy fire. Sure, I was enjoying the kids and especially Gabby delighting in her party, but somewhere across the years, I've gotten tired. I need space. I'm not the same as I was back then. My parents had me when they were in their mid 30's. They didn't play much with me and seemed to relate more to the older teens. I more or less tagged along learning to relate better to the older generation than I did with kids my own age. I didn't grow up babysitting so hanging with smaller children was not comfortable as well. Then along comes parenting. I'm not so sure I did that very well. You do the best you can with what you know, I guess. As a grandparent, I've learned that no two moments are going to be the same. I've tried to learn by observing and listening. All in all, I think for the most part I'm doing a decent job. That is, until I am on audio and energy overload. Bowling was a success. It was midnight. Four exhausted girls fell into their sleeping bags and quickly asleep. Early the next morning I heard giggles. After awhile, I trundled downstairs. The girls were sitting up talking as little girls do. I sat down in the small circle of girls and was immediately filled in on the quality of sleep with the pokes and sneezes and flailing arms. They talked about the night before and were all hungry for breakfast. The girls were picked up. Gabby was grumpy and tired. I was informed that Mommy was going to take a nap. Since I was house sitting for my son, I retreated immediately to that nest falling into bed beneath the feather down comforter. The party was two nights ago. I wasn't sure I was going to live yesterday spending most of it on the sofa wrapped in my terry robe. I slept for twelve hours last night. Today I know I will live. The next birthday will roll around. I will once more pull up my energies and wholeheartedly dive into the fray. The body is older. I think perhaps the tolerance is a bit thinner. But this is their time. My time comes during recuperation. "Grammy, I'm bored," Gabby just informed me. I'm trying to write. I am trying to write with some pangs of guilt. I should not feel guilty since I have already postponed my morning writing time to play Princess Monopoly. So why am I feeling guilty? In my mind I know that the kids needs to understand that adults have their own time. It's not healthy to glue yourself to your child or grandchild. Yet I feel guilty. I never had a grandmother or even parents who drop everything just to do something with me. 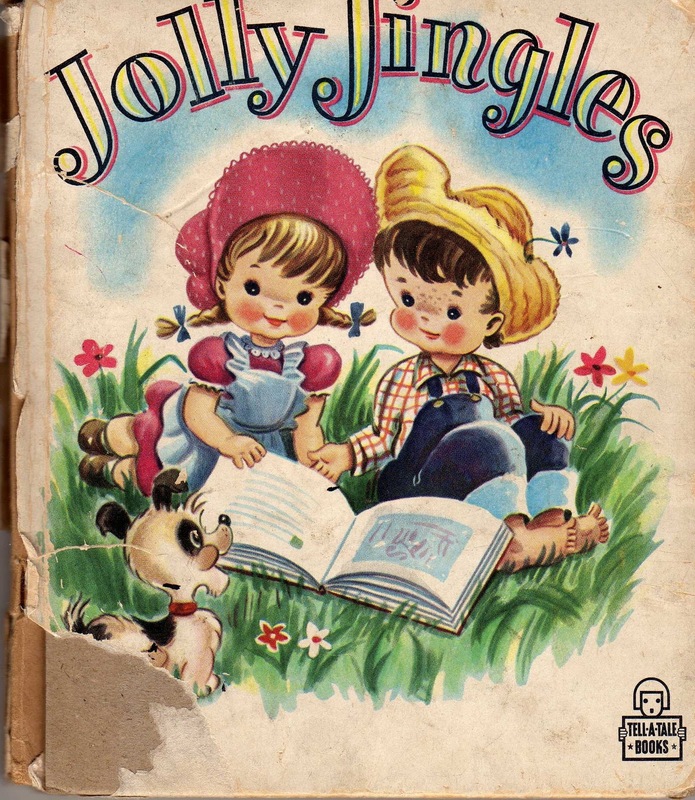 They never read to me let alone played with me. So am I trying to make it up to my grandchildren? Maybe it stems from the realization that time is fleeting and my time with my family shortens. 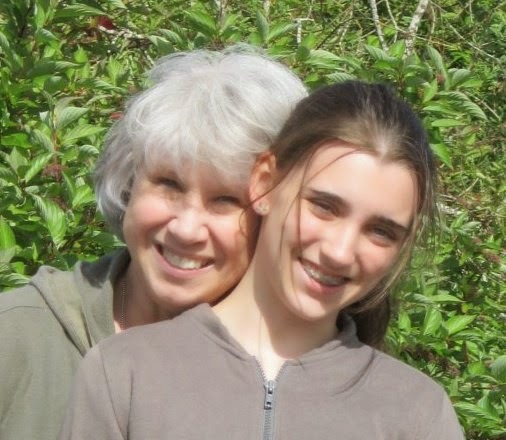 My granddaughters are growing up and will soon not want the same time with a grandparent. Am I trying too hard to savor what time I have? Maybe I just like to play, spending time with the girls. Maybe I just love the giggles, hugs and adventures. Maybe I'm finding pieces of myself in the process. "Honey, I'm almost finished," I just told her. "Go ahead and set up round two. I'm gonna beat the socks off of you. I get Snow White!!!!!" With weed digger in hand, gloved hands at that, and bucket, I set out to tackle the weeds in the flowerbeds. Confused, the weeds think they should still be arguing with me. Don't they know it's fall and time to sleep? Plants are in bud and bulbs are expecting Easter next week. IT IS NOT SPRING! While sitting in a patch of weeds, digging out their determined roots, I hear the leaves rustling nearby. A snake? A squirrel? No, a robin stands looking at me. I ask it, "Aren't you supposed to be migrating?" I continues to stare at me. Expecting worms? Nest building supplies? Surely not expecting winter to arrive in just a few weeks. Nature is confused. Most of the summer I've been pulling an invasive weed that seems to pop up in random spots across the lawn. The root system is strong. One by one, I pull the weeds following the root system knowing that I will not get all of the plant. I can only maintain what I see. "Isn't it time for the grass to stop growing???" my son asks as he once more pulls the lawnmower from the shed. "What's with this weather?" Like much of the country, we waited for summer to come seeing only glimpses now and then. Indian summer seems to have settled in Oregon, something that cannot last for long. Surely we will be wishing for warm, sunny days all too soon, but for now, we are ready for a change. Don't be fooled by what you see on the outside. You can try to dig out evil, but it will surface again. Enjoy what you have because things change quickly. Roots can be strong. Don't make them invasive. You cannot help but bloom, heal, grow, when you let sunshine into your soul. Don't linger too long or you might just end up in a snow drift. Most of all? Sit down in the grass, close your eyes and be one with the earth. Date: October 20, 1974: "You have a son." And indeed we did. This tiny baby covered with blond hair was a gift just waiting to be opened. His journey was indeed my own. I remember when my son was in the third grade. Across the desk sat his teacher telling me that my son was different. He seemed to watch what was happening on the playground instead of diving into the fray. He was quiet and reserved. Yes, indeed he was. My son was an artist, an observer, a creative spirit. His teacher was an idiot. Not until recently have schools begun to encourage children to find their own voices. Luckily my son lived in a home where the arts were a way of life, and his mother and stepfather understood his gift. Instead of encouraging my son to be proud of his gifts, his teacher saw him not fitting in. In my childhood, children were herded through school with all children treated the same. Those who were artistic were dragged along and ignored. Those who were athletic were cheered. I couldn't find my place at home or at school, because no one recognized those with a different voice. I didn't know I had my own. Once my son found his, he grabbed hold of what he loved and fought for it. He struggled for his music. He honed his gift. He said, "I can." And did. James began singing lessons in middle school and has gone on to perform on stage all over the United States. He did it for his love of music. He did it because it was a voice inside of him that needed to be expressed. Now he is writing music and a musical stretching his wings once more. The struggle will still be ahead of him, but he can do nothing to stop this voice inside. You know that doorman who stands by the door at all times waiting for guests moving to and fro? Well, parents and grandparents, that person is us. That door is sometimes difficult for a child to open. We can do that for them. We can present opportunities. We can listen. We can give them the tools to find their voices. We can support and encourage. Their journey is also ours. We can open the door without judgment. We can help with the 'luggage". Today is my son's birthday. The last thirty-six years have seen a quiet boy evolve into a handsome, talented man who lived his dream. A man who has touched people with his beautiful voice. A man whose gift lead him to find his wife on a national tour. A man who was a gift the day he was born and has been one that keeps on giving. On October 20, 1974, my live became richer. Visiting a friend, a mother of three children and a new puppy, our conversation turned to mothering. "I picked up the screaming child and just held her until her mother could get to her. When I got home, I worried that maybe I had stepped on my sister-in-law's toes by not asking if I could help before scooping up my angry niece." Heather called later to apologize for her action. Of course, the sister-in-law was thrilled to have the help. However, my friend needed to it for herself. "I know I did something my mother would have done. It bothered me." Oh, do I know that feeling. How often do I just dive in when not asked? I mother when mothering isn't necessary. I step on toes without thinking. I think I'm helping when in essence I'm not trusting the judgment of my children; I'm assuming I know better. I am my mom. There I said it. By living with my daughter and granddaughters, I have become even more aware of my place and my 'duties'. My daughter will be 40 in a couple of years. If she doesn't know what to do by now, I'm certainly not going to tell her....or I try not to tell her. Since this is my house as well as hers, the lines are sometimes fuzzy. My mother was just like her mother. She had an answer for everything and a better way to do it. We didn't do much right as children and seemed to do it worse as adults. I wonder that my children turned out to be such wonderful adults. It's difficult to change yourself when raised as such. The work on self is much harder. Slowly I am finding contentment in sitting back. I don't want responsibility of anyone else. I don't want to be a referee, decision maker or planning chairman. I'm tired. I raised my children. I trust them to survive their mistakes and mine. I trust them with my grandchildren. Just one problem.....sometimes they tell me what to do. Hm. She sits in the pew and holds the Bible. She reads along with the scripture reading then sits quietly through the service. Sydney finding her own answers. The church was my second home in my growing up years. Our church encouraged us to think for ourselves and to think globally. As an early teen I began to question portions of what my parents and church believed. Only after years of living did I permit myself to actually understand what my belief is in this power called God. Anyone who reads my blogs know that I have a strong faith, a faith I found on my own. My children were raised much as I had been until they, too, began to question. My memories of the fights I had with my parents over doctrine were not going to happen in this generation. I have learned that we must all make our own journeys into what we hold true. When Sydney was about six, Stacey called me. "Your granddaughter has a question," she said handing off her phone to her daughter. Wise old sage? Family shaman? Or just a grandma with a lot of experience. "Hm. That's a good question. Where do you think God is?" I asked. "In the sky?" a typical answer. "Sure, Honey," I replied. "God is in the sky, in the trees, in the animals. God is everywhere," I continued. "And, you know what?" "What?" said a small tentative voice. Silence. Had I frightened her? Was she bored with my lengthy explanation? Did she fall asleep? Finally, a small voice said, "He is?" "Yep. You know that feeling you get inside when Mommy give you love and kisses? That's the place where God lives with you." Again, quiet. Then...."Thanks, Mom." Click. I had no idea if the answer was correct, even one she understood, but evidently, it was enough. Since that time years ago, the girls and I have talked about different belief, different religions. We talk about God. Sydney enjoys church and Bible School. Gabby not so much. Both are okay with me. They will find God in their own ways. He's just waiting. "Syd, you might want to put on a jacket this morning," I suggests as she goes out the door to school. Typically, she is sure she doesn't need it. The next day she dons a sweater. The temps go up. She comes home immediately throwing on shorts and a tank top. Learning by experience. Learning to push the boundaries. Finding a voice she didn't know she had along with the mood changes of an eleven-year-old are signs of a season of change. Maybe I felt that my responsibility was different with my daughter than that with my granddaughters. Maybe I didn't want her to be like me at that age. Maybe I was deaf and blind to what my daughter needed. This being a grandparent is so different. Maybe because I am different. I am in a new season, a season of change. I think I know why trees lose their leaves. I think there is a higher message in those colorful pieces nature. They mark that we each have a season. Personally, fall is my season to revel in the cool, crisp air, to marvel at the color of the trees and to stop in my tracks when the geese fly over in their migration south. Fall renews me, slows me down and brings a family back into the house when the temperatures fall. Fall makes me more aware of the children in my life. I would be remiss if I did not admit that I used to look forward to the times when the children went home after a long visit, times when my children finally went to bed, times when I was a stay-at-home mom and the my kids were off to school or now when my granddaughters go off to school. We all love those times that are worry free, activity free, noise free. Yet through the 'falls' of my life, I have come to realize that the seasons change very quickly. Those moments with our children are over all too soon. I'm a grandparent. I have time to listen in this 'fallness' of my life. I have time to watch the evolving women my two granddaughters will become. I am the tree that watches the leaves fall away and promise to encourage the new growth of tomorrow. Smell the fragrance of fall. Enjoy her beauty. And, most of all, dance in her leaves. - me. The cable moves slowly. Anticipation shows on the faces surrounding the shaft that sank 1/2 mile through the earth's surface. A world waits. Some watch on the big screen. We watch on the television. Many are drawn in concern of 33 miners trapped underground for 69 days. 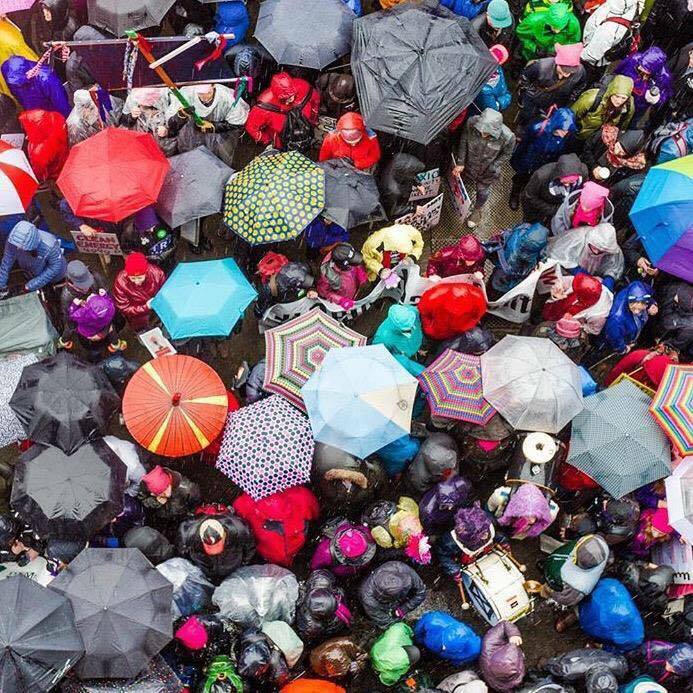 Why is it that we pull together in times of tragedy? Why is it that we open our hearts to those who are suffering from disaster and pain? Why is it that this world can't do the same all of the rest of the time? We cry for one another, we cheer at the survival, we fight to save lives buried in rubble, in collapsed houses, in those under water? Why can't we fight FOR one another all the rest of the times? We relate to our own families when disaster hits. We relate to those families filled with pain and despair sad for them yet glad it isn't us. We cry for the children and those injured. We want to be there to help so we send money and clothing. We want for them what we would want for us. Pain is mighty glue that bonds people even if just for a moment in time. I watched a special on the Sudan this week. Such sweet people just wanting a life who have lived with horror. Look at the world news and note the war and hate that dominates. Where is that world that pulls together? Where are the compassionate hearts? My granddaughters and I watch the news. Gabby gets side-tracked, but Sydney likes to watch with me. I find this to be a perfect time to encourage her to ask questions allowing her to come to her own conclusions. I don't censor what she watches on the news. We lived in a world that demands it's own dialogue. We talk about the history of countries, of the injustices, of the tragedies, of the successes. We talk politics, peace, ways of thinking. We try to understand why some are so angry, why disaster happens, why children bully. The news is our window onto the world and into deeper thinking. I do not try to influence her but only to encourage her to think, to realize that not everything she hears on TV is true. She has the ability to pick and chose and come to her own conclusions. I owe her that. Sydney has been a diplomat in her class for as long as she has been in school. She is the peacemaker. She stands up for what she believes. She is compassionate and loving. We grandparents have a wonderful opportunity to teach our grandchildren to think for themselves. That opportunity includes being involved in what they do and what they see. We need to use our eyes and ears to know what is happening with our grandchildren. We need to share our own doubts and fears, our own questions. Many times I've taken a simple problem asking Sydney for help. She offers her suggestion, and I listen without judgment. Our world population needs to learn more compassion and thoughtfulness. We need to have children who think for themselves making a better world. I was brought up to believe what my parents believed. We butted heads more times than not. Mom and Dad weren't about to change, and I was a child of the 60's. When the girls get home today, we will watch the rescue of the miners. The questions will come. The opportunity to show the girls a larger world than that which they live in will present itself. Doors of thought will open. Sit down before fact as a little child. Be prepared to give up every preconceived notion.-me. Update on Mom moving in with daughter and grandchildren: It's still not home. 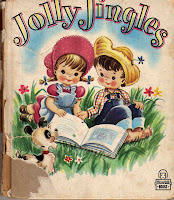 So this morning my eight-year-old granddaughter and I got into a tickling match. Giggles, wiggles and fun. "Stop that," my daughter said clearly putting a damper on our fun. We both stopped and wondered what we had done wrong. Well, we sort of stopped. A little hand came creeping over to get Grammy one more time. Constantly, we work at this new living situation. This is not something we both wanted but happened by necessity. I am still unemployed. My daughter brings home the income. I do work around the house, pick the girls from school, running to soccer and whatever else is on the schedule and caring for them when Mom works, but I cannot find a place called home. 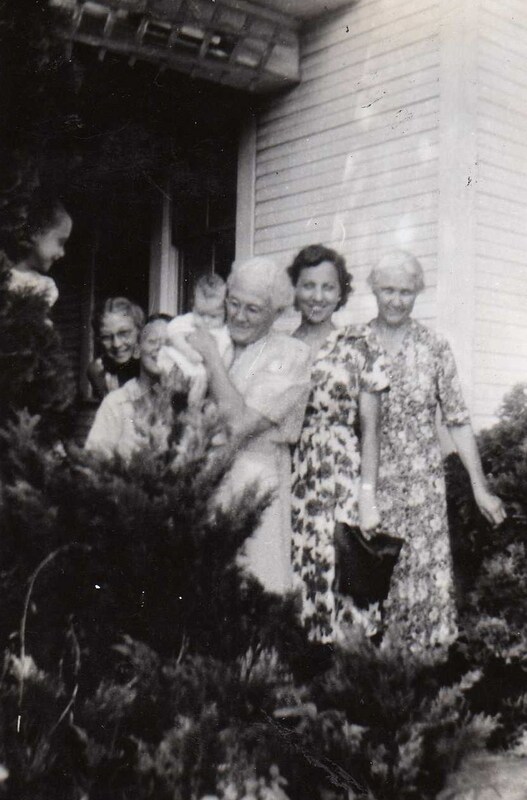 In my younger years, I remember families where older parents lived with their children. The parent often sat quietly to the side as everyone else interacted. Old women dressed in black sitting waiting, waiting to be told what would happen next. I remember my mother trying to include such people in conversation, but little took place. I wonder if they had just given up. Did they just decide that they were no longer useful? Did they decide that they had said it all and needed to say no more? Did they feel more comfortable retreating instead of interacting? Now that so many of my parents' generation are gone, I realize that I never really knew them. I never asked their stories or appreciated their past. I was so busy living that I didn't notice. Now it is too late. I can only glean their history from old letters and diaries. The moments of crazy tickling and soothing of tears never happened. Where am I going with this? I am no longer in 'my' home. My relationship with my grandchildren is changing. For the better? I'm not sure yet. We no longer have our special times and place. I sometimes feel that our relationship is censored. No more sleepovers. No more noisy fun. I often feel like a visitor. I work hard to have an open mind and to be a person who can change and grow from each experience. I believe that positive offsets negative every time. I am trying. I am working on a new relationship with my daughter. I am still holding on to the me I am. Yet sometimes sitting in a chair watching the world go by sounds might good. Trying to feel at home at home. Example. That's a mighty big word carrying a great deal of responsibility with it. Example. "Grammy, you are a weird and a fun grandma. You aren't like other grandmas," my granddaughter, Gabby, informed me. "They're old." Setting an example. Hm. Weird. Hm. "Ah, so why am I weird?" I asked her. "You like to sing and dance and be crazy. We have fun," she replied. True. I'm not afraid to dance through a grocery store or walk on a low wall. We giggle and sing our way to and from the store playing games and talking. The girls' friends run up to hug me and call me Grandma. So am I really weird? We sat on the sofa this morning pretending to have a morning talk show. Each of the girls joined in with their imaginations entertaining the unseen audience. Our topic? Tickling. Morning grogginess turned into laughter. Two sisters who were bickering became part of a larger cause....even if it was imaginary. Well, maybe I am a little weird. My grandchildren are learning to be creative and uninhibited. They free up their spirits to dance and express. They do not limit their creativity. They invent new games and discover new ideas. This is not to say that they are not taught appropriate behavior and manners. They know when to play and when not to play. They also know that there isn't a time or place that Grammy isn't available to them. A bond is formed in playing. We learn the dos and don'ts of one another. We learn communication. As the children grow, so does our relationship. There is more talk about growing up and making decisions. We watch television in a different way with more grownup communication over the questions they ask. Topics that might be awkward are easily discussed. We learn from one another. I help them find their answers. No, I'll probably never grow up. Someday I'll probably be leading seniors in a retirement home in a kick line. It would be easier to just watch the children. It would be easier to sit on the sidelines instead of diving into the fray, but I'm thinking that weird might be a good thing. Maybe it is okay to dare to be different to allow my family to dare to be themselves, to embrace who they are and to pass on the weirdness. Weird? Not me. Now where are those vampire teeth? Wise sayings. But do we do it? Yesterday I posted a comment on Facebook: A new day with new possibilities. I believe in possibilities. I believe in a power that guides me and takes care of me. I have proof. I started writing and producing social dramas for the schools when I was newly divorced. With no prior writing experience, my little shows became successful enough to last for12 years. A year ago I began actively writing. I started by writing greeting card verses and a few magazine articles. I had no known knowledge how to go about all this, yet I just moved forward doing what I felt I needed to do with a faith I don like my clothing each day. Then someone said, "You should be writing a blog." So I decided if one was going to be good for me, I'd write two. 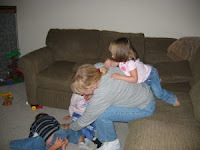 A year later my blog had made a top 50 blog about grandparenting rating #16. 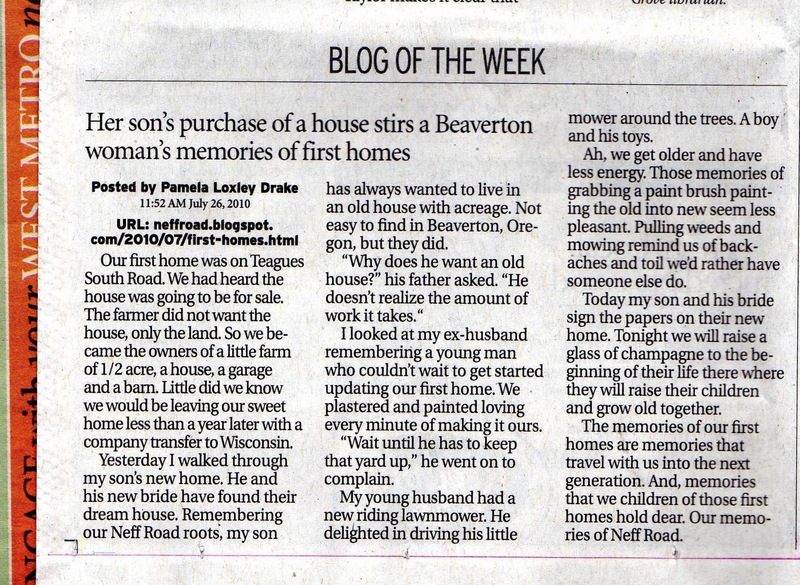 My Neff Road blog made blog of the week in The Oregonian. People from all over the world were reading my blogs. Hm. Last night after I posted my 'possibility' post on Facebook, I found a surprise in my email box. A story submission I'd sent in a few months ago has made the cut being considered for a new anthology to be released in the spring by Chicken Soup For The Soul: Grandmothers. Only 5% of all entries ever make it to final consideration. Well, there you have it. Possibilities, faith, trust, belief that we have gifts that we might not realize, but a higher power has a need for those gifts to be expressed and guides them. Oh, by the way, in regards to Sydney's adjustment to the new school and not knowing anyone. Yesterday she went home with her new best friend, Savanah. We discovered that Savanah's grandparents live in the same house where we raised our daughter and son. The story is the silent statistics. The story of concern. The story of self. A Google or Bing search for help, for others experiencing the same, for a tidbit of info that just might serve the purpose of the search. As I have said before, my blog allows me to see the state or country of those who check out my blog, which words brings them to A Grandparent's Voice. I don't know the name, address, email or anything else about you, my readers, but in the simple facts that I do have, I know what's on your mind by the blog you read. The blog most tagged is the one I wrote about an unemployed 62 year-old-woman. In this year long journey in blogging, I have gone from an independent woman living life alone and loving it to one who no longer has unemployment benefits, a job and now a home of my own. I am not alone. There are thousands just like me out there. Last week I met an past neighbor. He and I are about the same age. He spent his life working for a firm that closed doors three years ago. As I have found, baby boomers are not embraced in the world of employment. Boomers are forced to retire, to change their living situation, to spend huge amounts in medical insurance. What is the answer? For me, it was moving in with my daughter until I can find another path. The once young stay at home mom, the woman who was later divorced, the woman who went from making $50,000 a year to nothing finds herself in the same situation as other stay at home moms who stayed home doing what they felt was right for their children. There are no answers. There are possibilities. I continue to look for a job. I am coming to grips with my present living situation. I am in counseling to keep my chin up. I am writing. I am a survivor. I refuse to be anything else. As my son says, "Mom, I don't know what God has in store for you, but it certainly doesn't seem to be a job right now." Yes, I am in good Hands. For those of you in the same circumstances, have hope, have faith. Believe in yourself, take care of yourself. We can only do what we can do at which point we need to embrace what we have. I am a mother, a grandma, an energetic woman, a creative being, a writer, a poet, an observer of life and a woman who is surprised and delighted by what she discovers daily. I am finding a new me. It's hard to find the positive with an elephant sitting on your back. The positive isn't in the world, its not in a paycheck, its not in good strokes from other people. The positive is in you. Grab hold of it and look forward. Every day is a new day with limitless possibilities. She sat in the barn looking out over the farm. What would she be when she grew up? Would she be a mommy some day? Would she be an actress, a writer, a poet? She sat in the barn and wondered. I don't share much of my past in this blog. Those stories and that history is saved for my Neff Road blog. Yet I'm not sure I can separate the two for both are me, both come from the heart of girl raised on a farm in rural Ohio. We live in a time of concern about our world, the environment, of our plants and animals. I forget many times that not everyone had the rich growing up that I was privileged to experience. Not every child has a parent or grandparent to help them look beneath the leaves for a ginger flower or someone to sit with them watching the day time sky with the variety of birds or the evening sky full of stars. Not every child held a fishing pole and sat by a pond for hours on end learning patience and observance. Not every child plucked a chicken or gathered an egg or saw a baby lamb born. Not every child grew up on mush and coffee soup. Not every child rode in the back of a wagon on a hayride or sat upon a tobacco planter. Not every child. The writer in me was blessed to have such a rich history. The child in me was blessed to have experienced all that was the farm. We are all different parents and grandparents with varied histories. With each of those histories, we have gifts, gifts to pass on, gifts to encourage. My girls will never pluck a chicken. I could only hope they might gather eggs from a nest, but it won't happen. But my girls will have a grandparent with whom to look beneath the leaves and into the sky, a grandparent who will observe and learn, a grandparent who will take a rich history and teach from it. 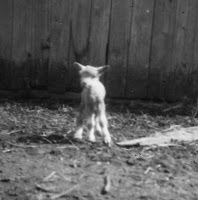 The little girl sat in the door of the haymow wondering what she would be when she grew up. Perhaps she would be a writer.